Hey, if you have plenty of customer support requests and you want to cut them down, no worries about that! You can always hide your contact us button and make your customers regret they ever tried to find it, right? Did you hear about reactive and proactive customer service? The first one is all about answering the customer support requests and the second one (proactive) is all about reaching out first to your customers even before they ask anything. You might ask yourself why would anyone bother to reach out to their customers if they are not complaining? Well, there are plenty of reasons why you should (try to) do the proactive customer service. The main “excuse” for providing this kind of service is rooted in focusing on the customer experience as the main priority for your businesses. Simply put, proactive customer service will increase customer satisfaction and will make your customers less likely to churn from your company. According to a study conducted by Harris Interactive/InContact, 87% consumers declared that they would be happy to be contacted proactively by businesses they consume. Nearly three-quarters (73%) of those who have had a pleasant surprise or positive experience with an incoming call from a business/service provider report they had a positive change in their perception of the organization calling them. 62% of those who have had a pleasant surprise or positive experience with an incoming call from a business/service provider have taken an action as a result of that positive experience. OK, what the proactive customer service has to do with cutting down support requests??? 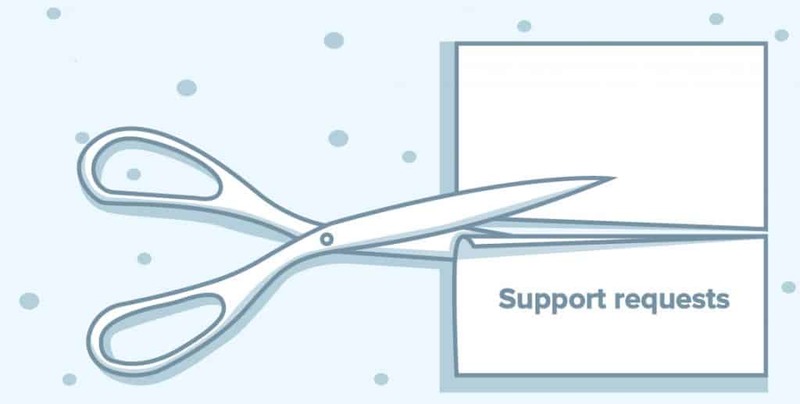 Cutting down customer support requests actually shouldn’t be your final goal! Once you manage to reduce your customer support requests significantly, you want to use all of your available resources to start providing a great customer service and focus on your customer satisfaction. Simply put, with some tricks and tweaks, you can achieve none (or very few) of your customers contacts you. But, how strong is such bond and how likely your customers are going to churn? This has a lot to do with the ways you are actually going to cut down your customer support requests. Don’t forget, you can always hide that button! If you want to know more about building your knowledge base, writing knowledge base articles, designing it etc. you can check out our previous articles. We will focus here just on the steps which are needed to channel your support requests towards your knowledge base as much as possible. Anyway, setting up a searchable knowledge base with relevant content inside it will definitely reduce your customer support requests to some significant extent. What we want to achieve here is to get as less requests which can be answered inside your knowledge base as possible! So, let’s say you have just set up your knowledge base/help center and you expect from it to reduce the number of support requests you get from your customers. First thing to do after establishing your knowledge base is to make sure that it has all possible relevant content inside it. The more relevant content you store inside your knowledge base, the less customer support requests you will get. What kind of content you should store inside your knowledge base? Anything that can help your customers solve their issues. If your product/service was an Ikea chair needed to be assembled by your customers who bought it from you, what and how would you write your assembly instructions? 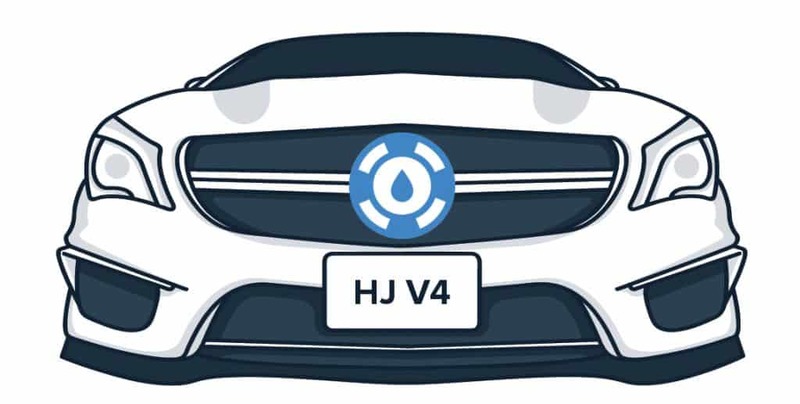 So, you want to start with general questions which you would put inside your starter guide, all the FAQ questions and anything your customers could use to solve their minor issues and misunderstandings of your service. What you can’t (and don’t want to) prevent with a knowledge base are support requests which are caused by the malfunction of your product/service. Actually, you want to receive these as much as possible. In order to make sure that you have all the relevant content, you will want to include all of your employees, especially those who work in customer service, into this process. Once you have the content and your knowledge base is working well, you need to show it off to your customers. You need to declare by its position which it will take on your website (and by its overall appearance as well) that it is a meaningful resource. Don’t be shy to put your link to your knowledge base/help center page at the most exclusive places on your website. Look how we did it. We have the “Home” link on our homepage header and right after it we have the “Help” link to our knowledge base. OK, once you do this properly you will have full rights to hide that contact us button! Actually, you will need that button/link also very visible at your website and even more, you will want to put also your company phone number there – number of studies have been conducted on this and the conclusion is that if a visitor of your website doesn’t see your contact details, he will most likely just close the tab and try to find something more trustful). Anyway, once your customers have an issue, make sure that you are doing your best to point them out right to your knowledge base before they decide to contact your customer service. It is totally OK to do small tricks here like when they click on “Contact us” link on your website, right beside/before your contact details, you could put there a “Customer Support” link which would redirect them to your knowledge base. Your customers could be actually thankful for doing this (if your knowledge base is good enough to give them some solutions), but you want to make sure that there, on your knowledge base i.e. “Customer Support” page, is a link which clearly leads to your customer support, a phone number and eventually an option to run a live chat with your customer support. Trying to attract the attention of your visitors to your knowledge base is not good enough. You also want to educate your customers about it and encourage them to use it. Admit it, you don’t have pretty wistful memories regarding your experience with FAQ/Q&A pages. The fact is that (despite customers prefer self service over customer service) your visitors are so frustrated with these pages, resolution centers etc. they don’t trust them anymore and they don’t believe they can find there relevant answers! It’s just a misconception based on another misconception (that all of your relevant company information can be explained in 10 chapters, each of them containing one sentence). So, what you need to do is to educate your customers about your knowledge base. Once you manage to convince them to use it, they will love the fact they don’t need to contact your customer support to find the answers they need. The best place to start with this – once you get a support request for which there is an answer in your knowledge base, you can politely reply to your customer with the answer reminding him that this answer is in your knowledge base and include a link to the answer. Also, you should introduce your customers with your knowledge base right when you start with the onboarding process. When sending a welcome e-mail message, you will definitely benefit of including a line about how they can search for the answers they might need, inside your knowledge base. 4. 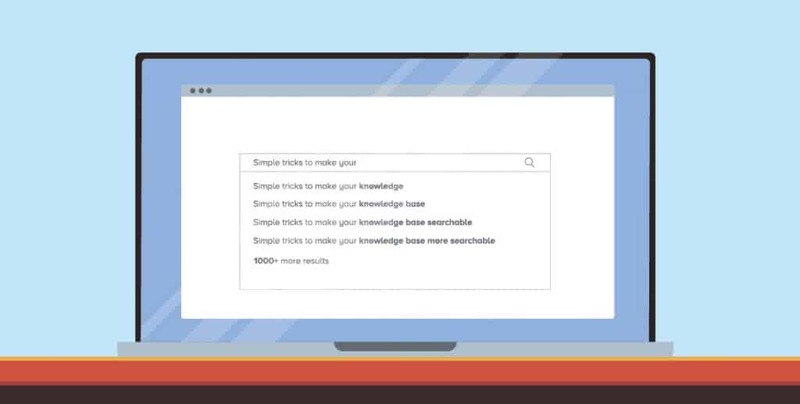 Let the robots search your knowledge base, too! When deciding should you let your knowledge base to be accessible to search engines or not, you might have some reasons not to do this, but the fact is that your customers actually often first try to search on Google about the issue they have with your product! (Yeah, we all do it). Anyway, letting search engines access your external knowledge base will fasten the process of finding the information for your customers and you might also get more visits/leads by doing this. Once you do these steps successfully you might want to tweak more your knowledge base design, optimize it and pay more attention to the quality of your knowledge base content. Do you hide your “contact us” buttons from your website? Share your comments with us and don’t forget to subscribe. We have some freebies for you.